Includes: Boat and Captain, Bait, Tackle, Ice, Fuel and Fish Cleaning. The Boats can comfortably accommodate 6 fishermen per boat! 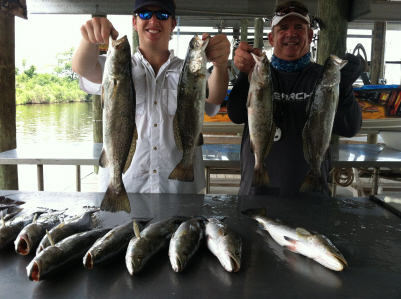 We can accommodate up to 90 Anglers! We have 15 Boats ready to serve you, so jump on board! Call to make Your arrangements for Large Corporate Group Charters! Exciting Fishing Adventures for your Group Events and Team Building for your company! A creative way to show appreciation to your Clients, Partners, Employees and Vendors! Total lodging can accommodate up to a total of 46 people.